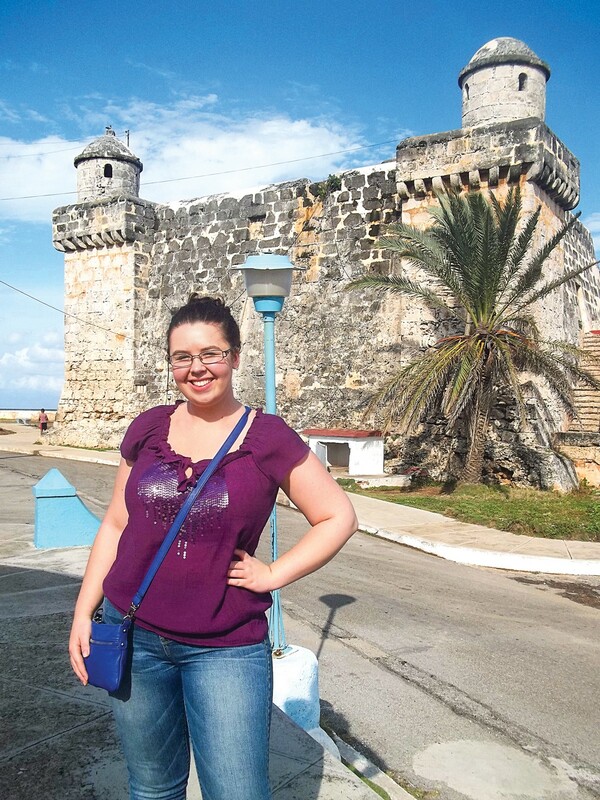 As the relationship between the United States and Cuba warmed last year, 11 Global Scholars from Fairleigh Dickinson University’s Metropolitan Campus arrived in Havana for a nine-day cultural exchange over winter break. “It’s important to develop lines of communication with other cultures to see how different people cope with everyday life, what their expectations are and how creative the human spirit can be in any environment,” says Samuel Raphalides, political science and history professor and director of the Global Scholars Program, who coordinated the trip. Picture quaint cars from the 1950s filling the roads of the capital city, Havana; dilapidated colonial buildings in the grandiose Spanish style; and plenty of art deco. 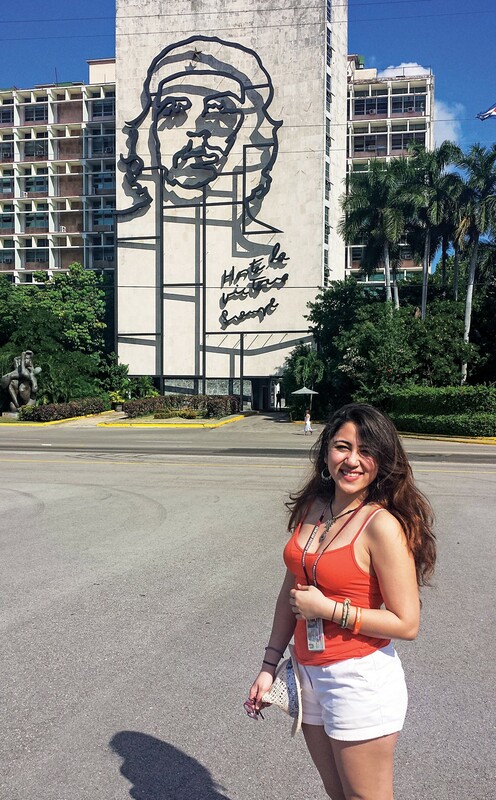 The Cuban Revolution, which began in 1953 and ended in 1959, and the subsequent U.S. embargo left Cuba frozen in time, which we learned at the Museum of the Revolution located in Fulgencio Batista y Zaldívar’s presidential palace. Old Havana is full of live music, but often the hit songs of the 1950s and 1960s. One of the most played is the unofficial anthem of Cuba, “Guantanamera,” which hints at the revolution. The people are warm, welcoming, open to conversation and curious about America. We were particularly fortunate to have traveled to Cuba before it undergoes any changes that closer ties to the United States may bring. 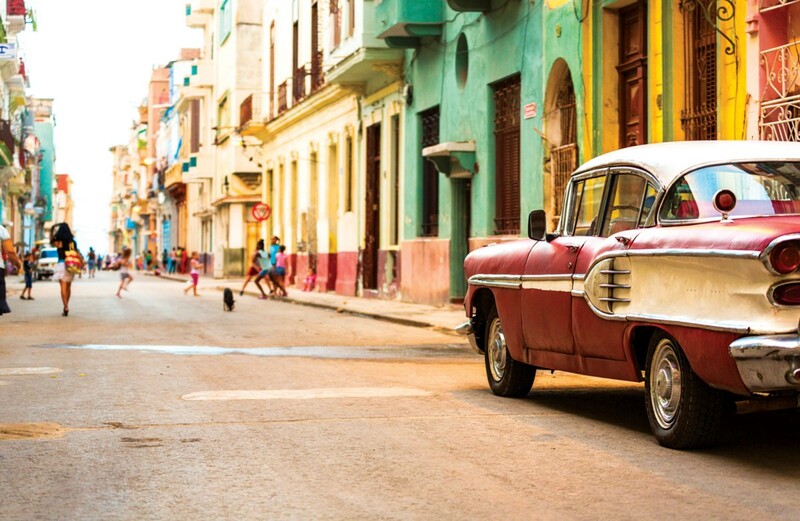 Cuba is rich in history and culture. The first place we visited was Revolution Square, where we had an opportunity to take pictures of the iconic government buildings with images of Fidel Castro and Ernesto “Che” Guevara on them and the monument to José Martí, the poet, essayist, professor, publisher and political theorist who, through his writings and political activity, became a symbol for Cuba’s bid for independence from Spain. Then we went to the National Museum of Fine Arts in Havana to see Cuban art from the Spanish Colonial period through contemporary times. We were fortunate to stay in the center of Old Havana. 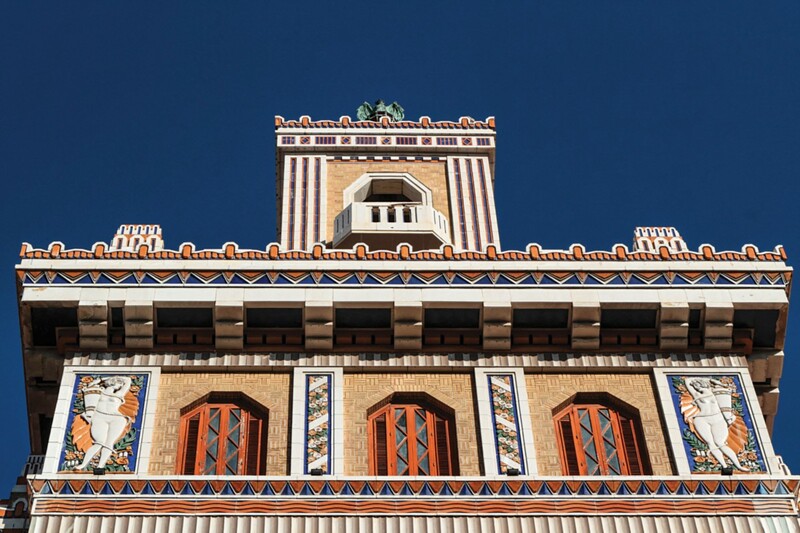 Eventually, we toured the city on foot, visiting a scale model of the city, the old art deco Bacardi building, Cathedral Square, a lithograph workshop, a view of the old fortress surrounding Havana and more. We also traveled to the University of Havana and the University of Matanzas, where we learned about the Cuban educational system and interacted with students. In Matanzas, predominantly a fisherman’s city, we visited a statue of Ernest Hemingway, his favorite restaurant and a perfectly preserved 20th-century pharmacy. Cuba offered us, as students attempting to grow into our roles as global citizens, a fascinating perspective of what it means to live in a country in the process of development. For my first trip outside of the United States, there could have been no better choice than Cuba. 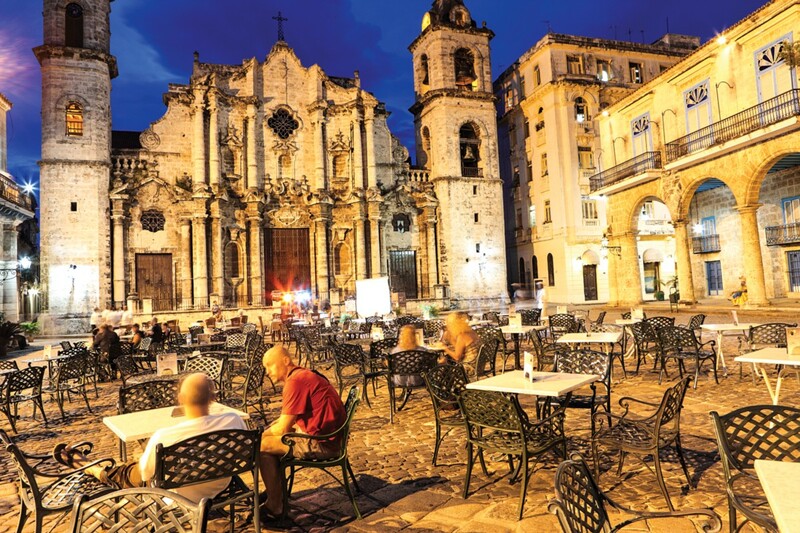 Whenever I mentioned to friends and family that I would be traveling to Cuba, I was met with shocked and confused reactions — my favorite being, “We can go there?” Yes, actually, Americans can legally travel to Cuba. 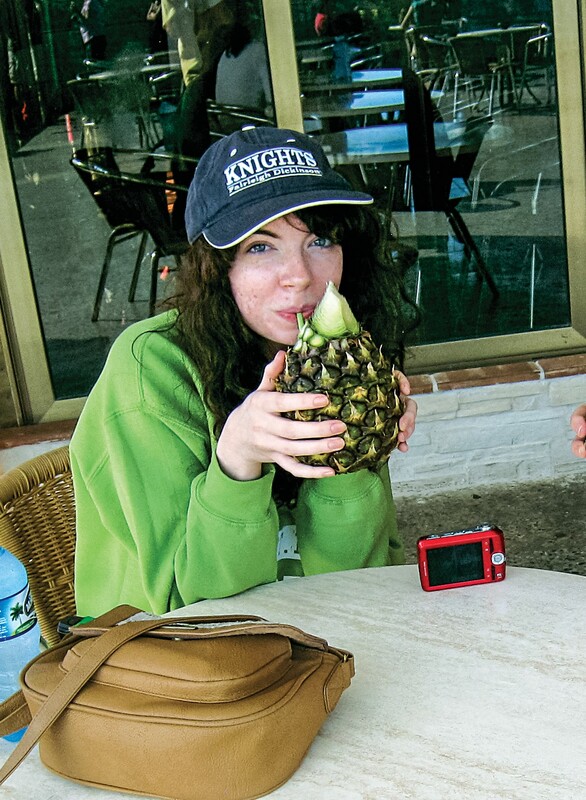 The semester-long work that Professor Samuel Raphalides put into making the trip possible proved worth it the moment we set foot on the tarmac at the José Martí International Airport. I was a bundle of nerves and excitement. I had never been through customs; I had never even shown my passport to someone else! What if they don’t let me through? What if they pull me to the side and arrest me? What if they confiscate my American toothpaste? These thoughts and any other nervousness evaporated when my eyes landed on an old, beat-up Chevrolet driving through the airport parking lot. I knew then that I was going to have an otherworldly experience over the next seven days. Now that I’m back, I’m having a hard time telling people how the trip was. When asked, I give a simple, “It was wonderful.” The week we spent in Cuba felt more like a month, because time moves very differently there. I had no electronics with me, and there wasn’t even a clock in our hotel room! I relied on the slow, relaxed pace. Once I returned to the U.S., there was little time to reconcile everything I experienced before getting back in the groove. But moments from the trip stand out, imprinted on my memory forever. Some are general: the classic cars and architecture, the friendliness and distinctiveness of the people. Everyone may speak Spanish, but they have different cultural identities and ancestral backgrounds — consider it a “mini-melting pot.” The American embargo left Cuba truly frozen in time. Many buildings are falling apart due to lack of infrastructure and materials, but others still stand strong, covered with 1950s mod-mint paint. I will never forget our trip to the University of Matanzas, where we met with Cuban students studying English. It was silly to think otherwise, but they really are just like us — they listen to Taylor Swift and Beyoncé, and they use Facebook (albeit under Cuban censorship). We visited Ernest Hemingway’s house, which left me feeling incredibly inspired. 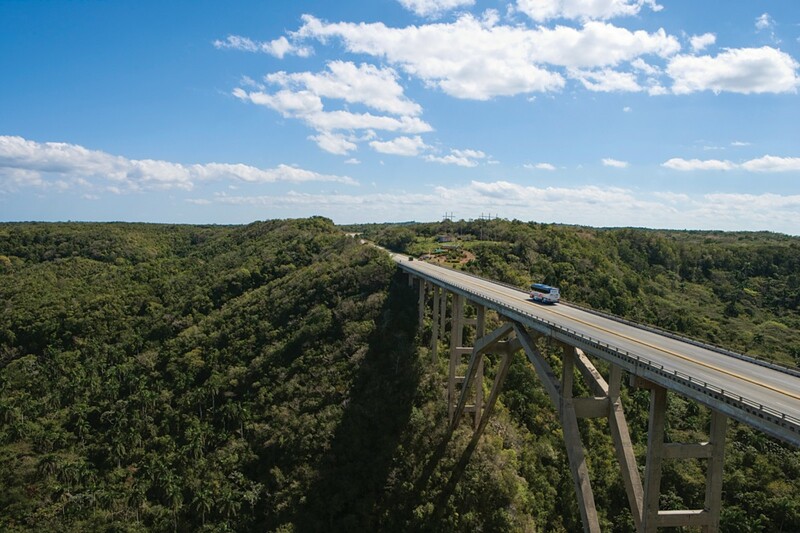 My favorite moment, however, has to be the three-hour drive from Havana into the countryside of Pinar del Río. While everyone napped, I had my face plastered to the window, in awe of the lush green mountains and valleys left untouched and untarnished by the Cuban government. This view is what I left Cuba with. I hope someday I can return and share these experiences with my future family. For years, Cuba has teased the American people — an island merely a stone’s throw away from the coast of Florida, a short commute for marine fauna that freely move between the landmasses, yet forbidden to anyone bearing a U.S. passport. So, what greater pleasure could there be than for 11 university students to saunter onto Cuban soil without a missile crisis descending upon them? This crossed my mind as I stepped out of the airplane and into the embrace of the languid Caribbean heat. This land was organic — all things systemized ceased to exist when we left Tampa, Fla.
We were instantly pulled into the heart of Havana. It is a city sprawled behind a fortress of rock, an ancient point of defense that now stands up only to the sea. At night it is beautiful to sit upon the sea walls, drinking Cuban rum, watching the rocks succumb to rogue waves. Nothing parallels this moment. It is this giddiness of life that the Cubans have preserved, something fizzling out in countries where development and Internet addiction sadly sterilize culture. Not a moment was stale in Cuba — no Starbucks or Wendy’s has been able to standardize or mass-produce there. The espressos were still deeply sensual: grainy and earthy. But the chickens are few and far between. And so are milk, pepper and toilet paper — all subject to shortage. 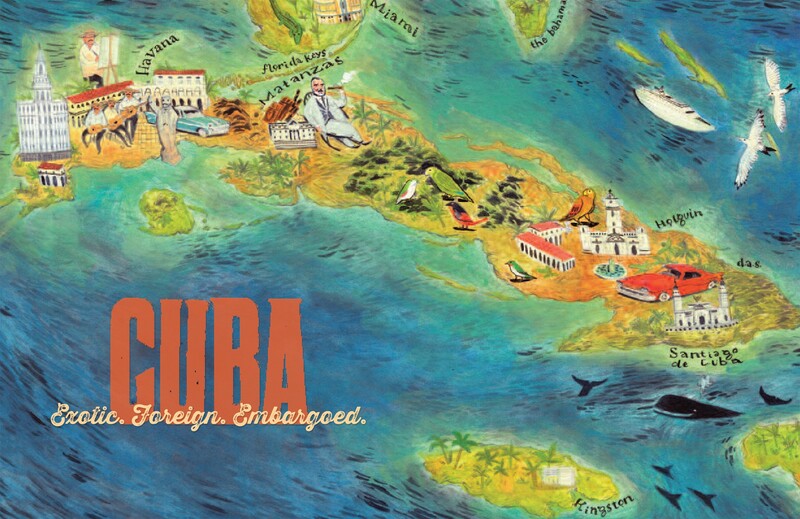 The American embargo crippled Cuba. No chain restaurants, no mass production of food — none of the excess that is taken for granted in the United States. Everything there is rationed, and everyone makes nearly the same amount of money, whether a doctor or a doorman. Equality, not excess, is the theory behind socialism. In Cuba, it is the perpetual uncertainty that gives vigor to existence. 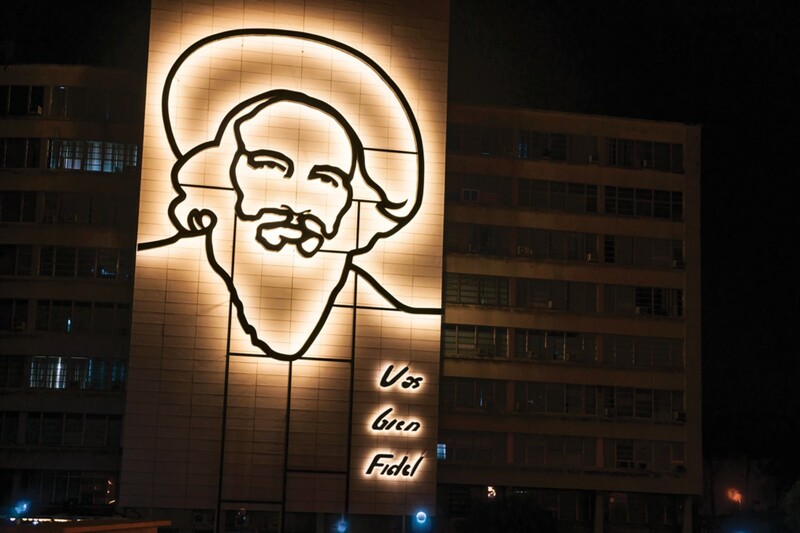 Since the revolutionary government of Fidel Castro uprooted all traces of American soft power and influence, Cuba has retained its colorful charm in all the sights, smells and movements. And yet, this is a landscape that is slowly changing. The sharp line between socialism and capitalism that political science books draw began to blur throughout the trip. Cuba is not a traditional Caribbean getaway, not a week in the sun and sand accented by a tropical margarita. Cuba is still the land of La Revolucíon, a nation of a people that fought exploitation of its sugar-cane resources and sought to make something self-sustaining. Cuba remains the nation freed by the bearded men, a nation that inspired Ernest Hemingway and one that inspires me. 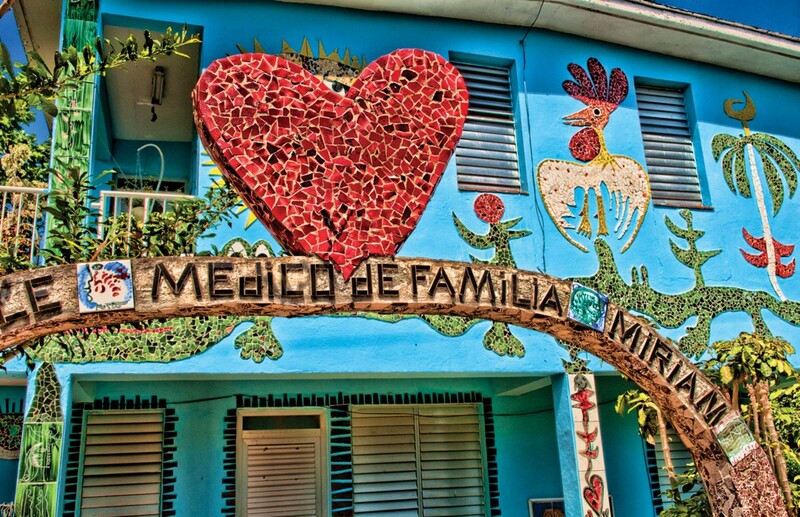 It cannot be denied that Cuba inspires creativity. And in creativity there is freedom; so to me, Cuba is free.